Pure Clavo Huasca (Tynanthus panurensis) vine wood. Recommended Daily Intake: 2-3 capsules twice daily, or as directed by a healthcare professional. 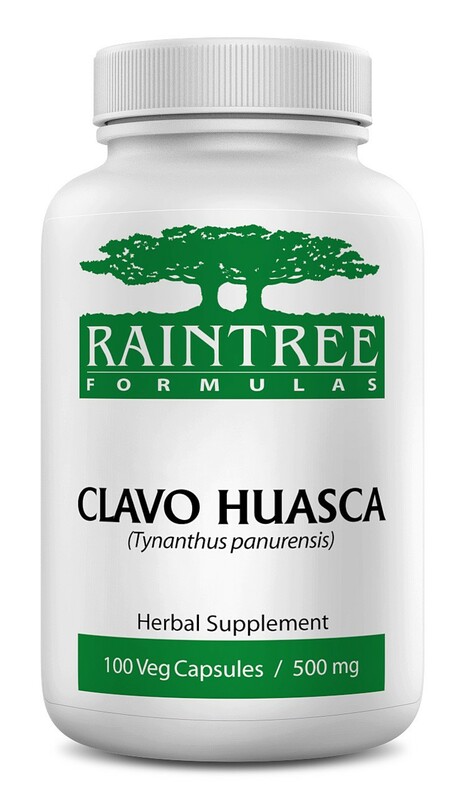 Ingredients: 100% Pure Clavo Huasca (Tynanthus panurensis) vine wood. Suitable for Vegetarians and Vegans. Free from yeast, soy, wheat, nuts and dairy. Cautions: This supplement should not be taken if you are pregnant or breast feeding. This product is made 100% to Raintree Nutrition specifications.